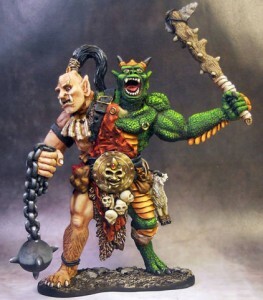 Center Stage Miniatures has their new Chaos Giant available over in their webshop. Model stands 120mm from the integral base to the top of the spiked club. Can easily mount onto a 60mm base for display or gameplay purposes. Cast in high-quality gray resin.